Pro race bike features in a highly versatile package - BB30, full carbon fork with tapered steerer and a full Mavic branded wheelset offers race bike performance to match your competitive desire whether racing, training or commuting. The superlight alloy frame is constructed of triple butted X9 tubing and finished with lovely smooth welds at all the joints. The frame has an abundance of key features which include: a aerodynamic down tube profile, oversize box section chainstays (for increased power transfer), internal rear brake cable routing, curved wishbone seatstays (for enhanced comfort), and a BB30 bottom bracket that reduces weight and increases stiffness in that area. For stiffness at the front end, the full carbon fork has a tapered steerer which also provides better steering precision. The compact chainset, with a wide range of sprockets on the cassette, gives you a large choice of gears for speed and for climbing. Many sportives events incorporate some nasty/steep climbs on the route so having a compact chainset makes life a little bit easier. The Boardman range redesigned for 2011 and although Boardman is chasing the top end of the market as well, the lower end has not been forgotten. The frame, made of superlight triple-butted aluminium, incorporates all the latest must have features such as the tapered head tube, BB30 bottom braxckey, internal cable routing for the rear brake and full â€"carbon fork. The aero-profileddown tune and a wide section to the head tube and wide section to the bottom bracket for extra stiffness. The metallic grey paint with yellow flashing from the inner fork legs and unner chainstays is dercreet and classy. Right from the first pedal stroke it was clear that the team is a genuine quality bike. The geometry is absolutly spot on, it simply feels ergonomically efficient in a no-nosense way. The Team is smooth and predictable as speed and cornering is beautifully stable thanks to the excellent fork. The stiff frame resists the twisting forces of climbing steep gradients very well. Can I fit panniers to Boardman Team? I'm interested in this bike but wondering if I can fit panniers with it, thanks. I would suggest you you'd ruin the ride of the bike, its a good well specked lightweight road bike designed for racing/training. 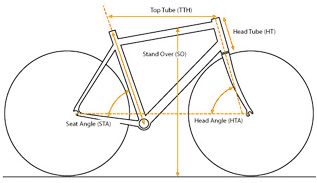 It does have contact point if you need to fit them though although your going to end up adding at least a kilogram to the bikes weight before you even put anything in the panniers and alter the weight/balance of the bike. Additional information about jayz could not be loaded. Unfortunately this does not have mounts to fit a standard pannier rack to the bike however a beam rack may be suitable. Additional information about wigglerob could not be loaded. Next year will be my 3rd season in Triathlon and I've decided to upgrade my bike. As a family man funds are restricted and next year I plan to do mostly 5150's and maybe a 70.3. Therefore do I need to buy a carbon or an aluminium bike? Would you recommend all from the Boardman stable? Any other recommendations - budget is about £1,250 GBP. Additional information about TriZurich could not be loaded. It will be worth considering that often a carbon frame will give a more comfortable ride, reducing 'road buzz' which may be of importance to you over long race distances where comfort will be a very important factor. A carbon fork will help to absorb much road buzz on an aluminium race bicycle. Additional information about WiggleHenry could not be loaded. I'm a guy of 170 cm with an inseam of 80.5 cm and i feel really insecure about the size of the frame. What is the most important factor since I'm at the bottom of the medium/top of the small range according to length but in the upper part of the medium range according to inseam? Additional information about BartmanSWE could not be loaded. I can confirm that due to the geometry on this bike the small will be suitable for your height as it has a 54cm top tube. I hope this helps. Is there enough clearance for 25 mm tyres (front and back) ? Additional information about wigglebikeguru could not be loaded. I am interested buying a Boardman Team road bike. But I don't know which frame size will be the more suitable for me. I am 17m6 tall with inside legs 83cm. Additional information about marabout could not be loaded. Additional information about lundis could not be loaded. Based on your measurements I would suggest the medium is the better option for you. Additional information about wiggleshane could not be loaded. I'm new to road bikes and was hoping you could guide me on the sizing. I'm 193.5cm tall with an inside leg of 91.5 inside leg. It looks like i should be ok on the x-large. What do you think? I'm 183cm tall and 84cm inside and the large fits perfectly. Additional information about Nate75 could not be loaded. yes, size xl is for you. Additional information about LionOfFlanders could not be loaded. My dimensions are very similar to yours, 178/78, and I have the medium. I was worried as I was close to the Large, but am very happy I stuck with what Wiggle recommended. Additional information about BeardedLightening could not be loaded. I'm interested in the Boardman Team and want to check sizing. I'm 6 foot with a 32 inch inside leg. Is that a solid Large? I'm 6'1 and have the large I'd suggest it would be perfect for you as far as sizing goes. By the way the seat is actually efuzi (good comfortable italian seat) not boardman as its illustrated though its probably better as it is fitted with a connector, to clip in a small travel/repair kit bag underneath the rear of the seat caging. Boardman Road Team - S or M? I am interested in buying a Boardman Road Team, but I am not sure about the frame size I should select, S or M. I am 174cm and have an inseam of 81.5cm. Which one do you think would fit me better? Additional information about intiwasi could not be loaded. I would suggest the Medium to provide the best fit. Additional information about WiggleToby could not be loaded. I'm looking at purchasing the Boardman Team bike, I'm 196cm tall with an inside leg of approx 37inch, is the XL going to be big enough? Additional information about BigFan could not be loaded. I can confirm that the extra large will eb big enough for you but you are on the top end of the size guide for this frame. I hope this helps and if you have any queries please let me know.